“The Polish prime minister’s remarks here in Munich are outrageous,” said Netanyahu from a security conference in Munich, Germany. “There is a problem here of an inability to understand history and a lack of sensitivity to the tragedy of our people. I intend to speak with him forthwith,” he said. Speaking at the same conference earlier, Morawiecki dismissed criticism of a new bill passed by the Polish parliament that would make it illegal to blame Poland for any Holocaust-related crimes, after being asked by Israeli journalist Ronen Bergman if discussing his family’s history of persecution by Poles would be criminalized under the new law. “Of course it’s not going to be punishable, [it’s] not going to be seen as criminal to say that there were Polish perpetrators, as there were Jewish perpetrators, as there were Russian perpetrators, as there were Ukrainian; not only German perpetrators,” Morawiecki said. Morawiecki’s comment was lambasted in Israel across the political spectrum, with opposition leaders taking to Twitter to express their outrage. “Poland’s Prime Minister Mateusz Morawiecki talks like the last of the Holocaust deniers. The blood of millions of Jews cries out from the ground in Poland over the distortion of history and escape from blame,” tweeted Zionist Union party leader Avi Gabbay. “Jews were murdered in the Holocaust and Poles took an active part in their murder. The Israeli government must be here for the millions murdered and strongly condemn the Polish prime minister’s words,” he said. “The perpetrators are not the victims. 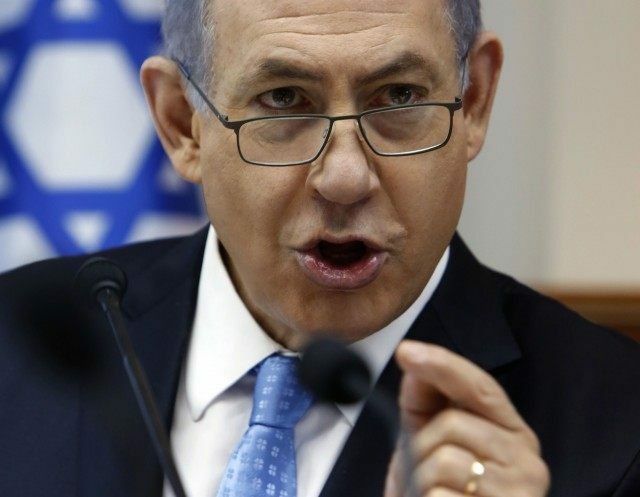 The Jewish state will not allow the murdered to be blamed for their own murder,” he said, while calling on Prime Minister Benjamin Netanyahu to recall Israel’s ambassador to Warsaw. The Polish Prime Minister’s statement is antisemitism of the oldest kind. The perpetrators are not the victims. The Jewish state will not allow the murdered to be blamed for their own murder. I again call upon the Prime Minister to immediately recall our Ambassador to Israel. Zionist Union MK Itzik Shmuli said Morawiecki would be “blaming the Jews for their own Holocaust” next. “We will not accept any attempt whatsoever to rewrite history. We will accept no restriction on research into historical truth,” he said.